The latest Indastriadesign’s project comes from the love for the ocean. 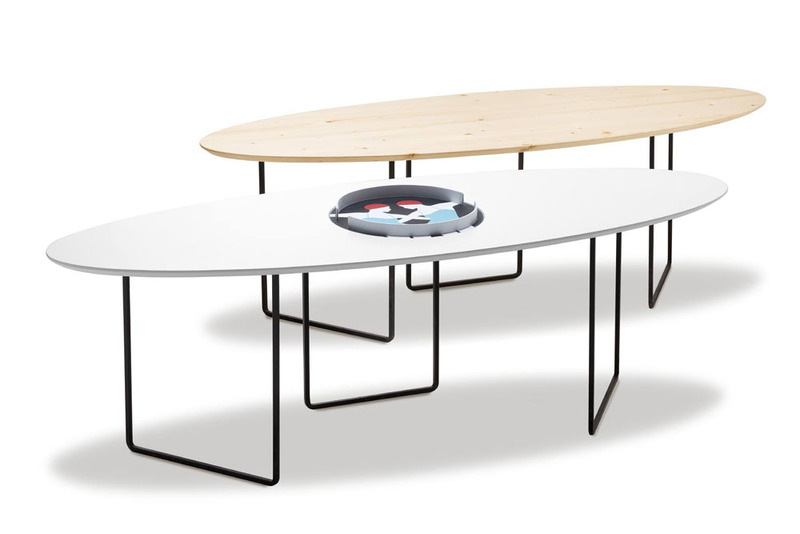 It’s a coffee table whose shapes remind us of a surfing board! Simply, an elliptic wooden surface floats on three geometric metal legs, resembling the lightness and the elegant balance that is needed to ride the waves. Luisa Tosetto‘s stunning ‪#‎swimmingseries‬ can be printed on Read More.. Sharing Design – Making Makers, inside Fabbrica del Vapore (Milan), an event on self-production, green innovation and shared planning promoted and organized by Milano Makers association with the collaboration of the Municipality of Milan. Our latest project, Pregadio lamp, was selected in the competition on self-production, Call for Products and Fashion Accessories. The complete program Read More..